Call it shark camouflage. 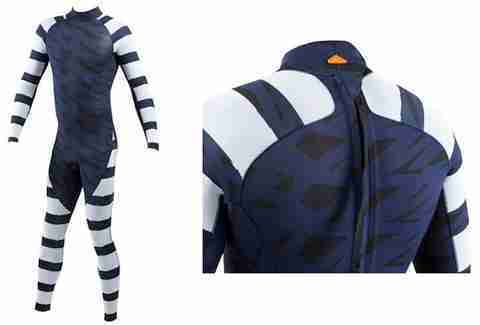 Call it a wetsuit with crazyass patterns. Call it a ticket to not getting your leg bit off by a Great White. Australian-based Attack Mitigation Systems (SAMS) and the Oceans Institute at the University of Western Australia have created an underwater invisibility cloak that they claim renders you practically inconspicuous to sharks, no metal armor or chainmail required. Want to breathe underwater like James Bond? Of course you do! Scientists have long known that sharks are colorblind, but they also see things differently at different depths. The sharks, not the scientists. 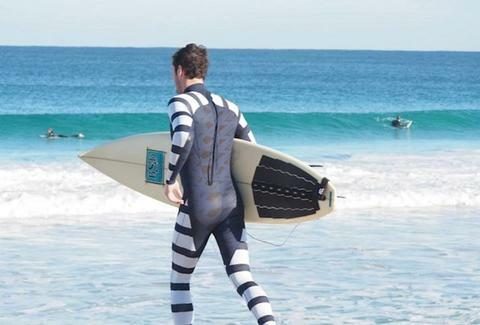 Capitalizing on this lack of vision, SAMS created a simple wetsuit covered in scientifically developed designs, colors, and patterns that either make the swimmer blend into the water or look like an unpalatable/poisonous fish. 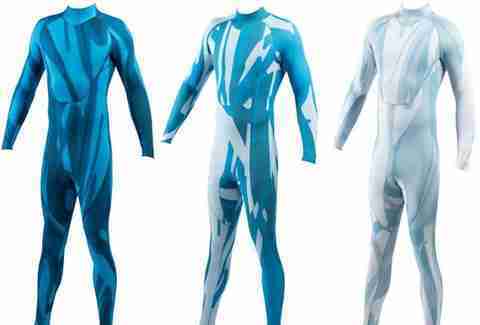 Wetsuit variations depend on what aquatic adventure you plan on going on/how deep you plan on swimming. 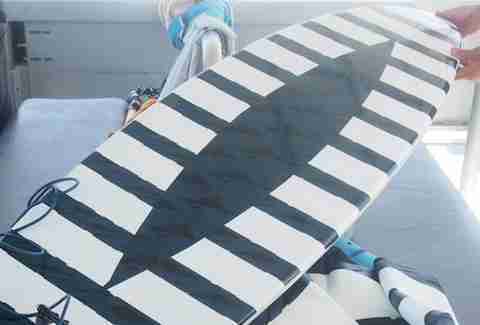 The Warning Technology pattern (pictured above) is for surfers, essentially repelling sharks by making the wearer appear much like a striped pilotfish, a species that "spends its life living alongside predatory sharks". The Cryptic design is meant for divers, and essentially camouflages the wearer in the same way a military uniform does, only catered to shark eyes. It comes in three shades of blue, each for a different depth of ocean. How is a pattern scientific, you ask? Apparently, “the combination of contrasting colors combined with the shape and size ratio of the patterns ensures optimal effect at various depths and distances”. Until it doesn't, and you get your arm bit off! Kidding. It totally, probably works. SAMS does warn that sharks are unpredictable, however, meaning there are no guarantees. If you want to be the guy wearing a belt and suspenders though, you can combine your sea camo suit with an accompanying protective product like their surfboard, kayak, and dive tank stickers, skins, and underlays. Check it all out, right here. Sophie-Claire Hoeller is Thrillist's associate travel editor, and doesn't understand how Sharknado actually got green-lighted. Follow her @Sohostyle.